Beware of Payday Loans! Payday Loan Pitfalls and Alternatives - Castle Rock Bankruptcy Attorney - Jon B. Clarke, P.C. While payday loans may seem to be a quick fix in times of financial need, borrowers should know their alternatives to avoid possibly ballooning their debt with payday loans. 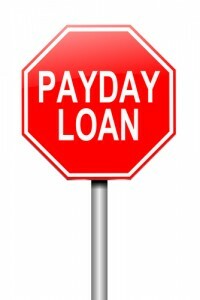 Although payday loans can seem like a good solution when a person needs a quick sum of money, doesn’t have collateral for a loan and doesn’t want to endure credit checks, these loans can entrap borrowers, becoming a sort of financial quicksand that can quickly pull them into serious debt. The reason for this is that payday loans are associated with particularly high interest rates that can be as much as 500 percent APR, which is approximately 25 times the interest rates associated with most credit cards. If borrowers can pay off payday loans when the first payment is due, then they will be able to avoid the falling into a financial trap. However, as is the case for most borrowers who seek out payday loans, they are unable to fully pay off the loan with the first payment; this means that the exorbitant interest rate will be applied to the outstanding monies owed, which can quickly balloon loan payments and send borrowers into a spiraling debt that they may be burdened with for months or even years. Given the perils associated with payday loans, it’s important that borrowers in need of money consider all of their options before taking out one of these risky loans. If you are overwhelmed by seemingly insurmountable debt and are looking for a financial fresh start, contact the trusted Colorado debt relief and bankruptcy lawyers at the Law Office of Jon B. Clarke, P.C. Our experienced legal professionals are committed to providing each of our Clients with the debt relief assistance they need, and we will work tirelessly to ensure that our Clients’ cases are resolved as favorably and efficiently as possible. For a thorough assessment of your situation, along with expert advice regarding the best manner in which to move forward to unburden yourself from debt, call us at (866) 916-3950.